Tamil Nadu Engineering Admissions (TNEA) counselling will be conducted online through Internet from 2018 onwards. Applicants can register their applications and take part in single window counselling for TNEA through Internet from anywhere or being at their home. Forty Two (42) Tamil Nadu Engineering Admissions Facilitation Centres (TFCs) have been established to help the rural applicants and applicants who do not have access to internet facility. Such, facilitation centres will act as helping or guiding centres for Tamil Nadu Engineering Admissions 2018 and these centres are not distributed counselling centres. The original certificate verification for all the applicants will be verified at these TFCs only. The TFCs will provide the required support and guidance to the applicants for the TNEA process. Also, it will provide internet enabled computer facilities for all applicants, wherein the Government will bear the expenses. The applicant can use such TFCs to complete the different stages like registration of applications, providing college preferences and collection of allotment orders. TFC will start functioning after the TNEA schedule notification. The special counselling like Eminent Sports persons, Differently Abled Person, Vocational, SC-SCA, and Supplementary will be held as in-person counselling at Chennai. Original certificate verification for eminent sports persons will also be held at Chennai only. SMS and email alerts to the applicants in their registered ids will be sent during each stage of counselling. 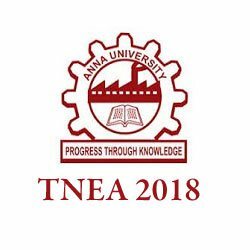 All information regarding TNEA Counselling 2018 will be released through the official TNEA portal at URL https://tnea.ac.in or https://www.annauniv.edu only. To help applicants for any clarification regarding TNEA counselling process 20 helpline numbers is established. Applicants may call 044 2235 9901 -20 for help. These helpline numbers and official TNEA portal will start functioning after the announcement of TNEA schedule. This new system will benefit all the applicants of Tamil Nadu Engineering Admissions and Anna University is entrusted with the design and implementation of the TNEA completely through internet.